Dan is a regular seminar presenter on tax and SMSF topics and has published extensively in these areas. Dan regularly presents for the major professional bodies including the SMSF Association, The Tax Institute and Chartered Accountants Australia and New Zealand. 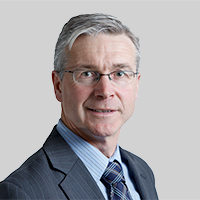 Dan is a member of the ATO’s Superannuation Industry Relationship Network, the Chair of The Tax Institute’s National Superannuation Committee and is a member of the Law Institute of Victoria’s Tax Committee and is involved with a number of other tax and SMSF committees. Dan is also a Specialist SMSF Advisor.